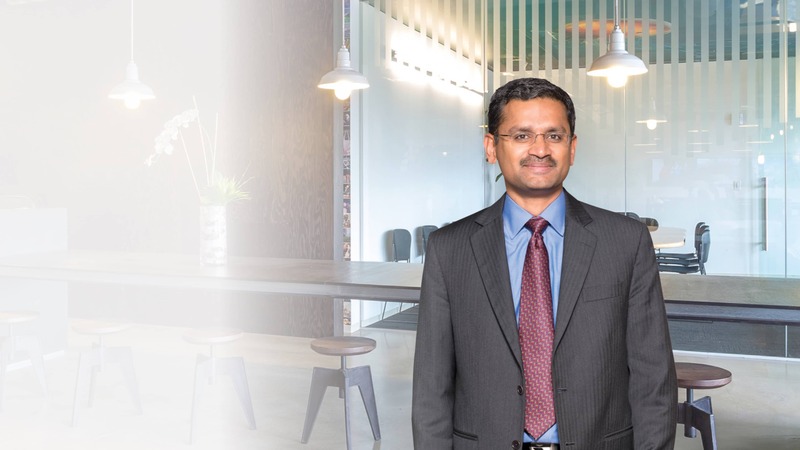 Rajesh Gopinathan is the Chief Executive Officer and Managing Director of Tata Consultancy Services (TCS), a leading global IT solutions and consulting firm. He was elevated to the role of Chief Executive in February 2017 after serving as the Chief Financial Officer since 2013. He has played a key role in helping TCS become a USD 19.09 billion global company. With over 417,000 consultants, TCS is one of the largest private sector employers globally and was recognized as a Global Top Employer for the third consecutive year, with the highest retention rate in a competitive industry. Under Rajesh’s leadership, the market capitalization of the company crossed USD 100 billion during April 2018, making TCS the most valuable company in India. TCS was recognized as the fastest growing brand in the IT industry for 2018 and consolidated its position as one of the top 3 IT Services brands for the second year in a row, by adding USD 1.3+ billion to TCS Brand value and entering the USD 10+ billion club. Prior to his role as Chief Financial Officer, Rajesh was the Vice President - Business Finance. In this role, he was responsible for the financial management of the company’s individual operating units. Rajesh joined Tata Consultancy Services in 2001 from the Tata Industries, and worked to drive TCS’ newly established e-business unit in the United States. He was also involved in the design, structure and implementation of the new organizational structure and operating model of the company. He has also worked on multiple assignments with Tata companies as part of the Tata Strategic Management Group since 1996. Rajesh was named one of the Top 100 Global CEOs in the Brand Guardianship Index (2019). He was also ranked ‘Best CEO’ in Institutional Investor's 2018 All Asia Executive Team rankings. In 2014 he was awarded the “Young Alumni Achiever's Award” under “Corporate Leader” category from IIM, Ahmedabad. An electrical and electronic engineer from REC Trichy (now NIT, Trichy), Rajesh graduated in 1994, before pursuing his Post-Graduate Diploma in Management from IIM, Ahmedabad. Rajesh lives in Mumbai with his wife, daughter and son.